In writing my mystery novels, I often tap into the police and firearms knowledge of my Kieran McMullan. He is simply amazing. Once when I asked him a question about bullets, he fired the weapon in question in his basement shooting range so he could give me an accurate answer! I think it was for the same book but a different questions that he once sent me a photograph of a bullet via Facebook. That kind of knowledge and attention to detail is on display in Kieran’s own fiction. He is the author of Watson’s Afghan Adventure and Sherlock Holmes and the Irish Rebels.Now comes Sherlock Holmes and the Mystery of the Boer Wagon. I asked him questions about it — and got some enlightening answers. 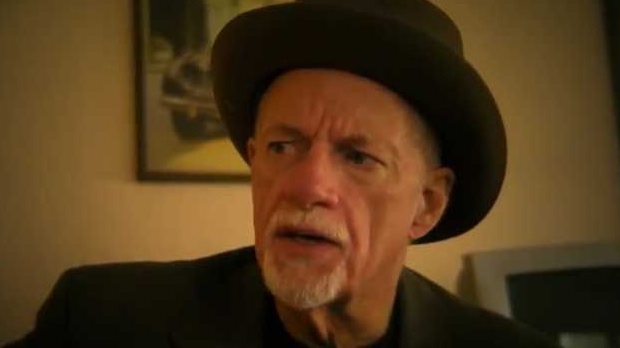 What’s a nice Irishman like you doing writing about a couple of English guys? Good question. Curious, isn’t it? But the answer is the same as for all the folks that follow the Great Detective and the Good Doctor. It is the appeal of the rational man tempered by the feeling man. Doyle’s (an Irishman by heritage) creations are the men we want to be, what we strive to be, their appeal is universal. They lend themselves to action, mystery, adventure and romance. Who could ask for more? Your first book was Watson’s Afghan Adventure. Your blog is The Many Watsons. What’s the attraction of Dr. Watson for you? Watson is the everyman, he is the one that I can identify with most closely. Who can really think themselves to be Holmes? Who really thinks they are the rational man? I know I’m not. But I do identify with taking action in a crisis or seeking the help of others. I could be Watson. Holmes, never! Have you finally exhausted all the Watsons on your blog? No, I haven’t. While there are 50-some currently at the blog https://kieranmcmullen.com/ there are more to be reviewed. You might like to know that there will be a book version of the blog from MXPublishing this Fall. All proceeds from the book are being donated to the effort to save Undershaw, Sir Arthur’s home. When did you become a Sherlockian? I became a Holmes fan at the age of eight. My Dad taught English and Russian literature at St. John’s University in New York. One summer he handed me the complete stories of the canon and said “Here, read this over the summer.” I was hooked from then on. How did you come to write and sell your first book? Actually, my first book was about how to care for artillery team horses in the field during Civil War reenactments. It sold fairly well but is a very specialized topic. But Watson’s Afghan Adventure had been something that was brewing for years. Who was Watson? Where was he from? Aside from his parents and brother being dead, what did we know about him, his childhood and his decision to join the army. What really made me curious was his claim to be with the 5th Northumberland Fusiliers (who were in the 2nd Afghan War) but he was wounded in Maiwand. Maiwand is hundreds of miles from where the 5th Northumberland served. And where was Watson wounded? Leg, shoulder, both? All these questions needed answers. Your books all have a solid grounding in history, more than just being set in the late nineteenth or early twentieth century. Is history a particular interest of yours? I’ve always been a history buff. I’m of the considered opinion that I don’t have to make all my own mistakes, I can learn from those that have already been made by others. I like to know more than just events. I like to know how things worked and why things were done in certain ways. Why do the cannons go to the right of a line of infantry? Why did Custer split his force into four parts? Why did the leader of the Irish Citizen Army agree to an uprising with the Irish Volunteers? Why don’t people know the difference between a hansom cab and a growler? If every car in the city today was once a horse and carriage, where were they all kept and fed and cared for? Every day I realize how much I don’t know and want to know more. After I determine the location, time frame and general outline of the story I start to work on the particulars. Not just of a particular event, but of the surroundings. If I were in Dublin in 1916 what would I see, how would I travel, how would I eat? I try to make the surroundings as real as possible. Who is there? 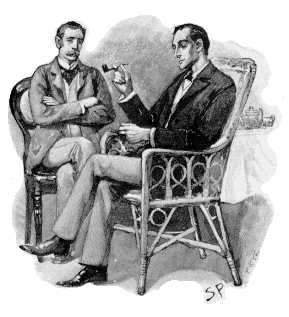 In all three of my Holmes and Watson books the majority of characters are real and were in those places at those times and Holmes and Watson could well have interacted with them. One difficult part is limiting the surroundings. For example, we know a tremendous amount about the Battle of Maiwand, but what would Watson have known? He was there yes, but his knowledge was limited by hillsides, smoke and the fog of war. I try to rely almost entirely on contemporary accounts. My bookshelves are filled with late 19th century, early 20th century books. If I write a description of Cecil’s Hotel in London in 1900 for Sherlock Holmes and the Mystery of the Boer Wagon, I have used references like Beavan’s Imperial London written in 1901. I know there are lots of people who like to knit-pick. You have a varied background as a retired army officer and a retired peace officer. Does that come in handy in your writing? It really does. It gives me a good basis for understanding how people interact, how people react in stressful situations, and how the best plan never survives the first bullet. What’s next from the computer of Kieran McMullan? Another excellent question! My wife is convinced that Holmes and Watson were somehow involved in the Boxer Rebellion. But since they were in South Africa at the time I haven’t quite worked that out. Besides, Charlton Heston and David Niven had that particular problem under control. Perhaps, as old men, Holmes and Watson worked with a young Constable Chan? Could be. What haven’t I asked you that I should? 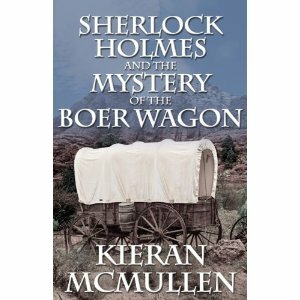 When will Sherlock Holmes and the Mystery of the Boer Wagonbe out? Glad you asked! 24 October. There is always a healthy interest in the actors who have played the role of the world’s most famous detective, Sherlock Holmes. But Sir Arthur Conan Doyle also created the world’s best known sidekick, Dr. John H. Watson. The men and women who played the role of stalwart ally is quite an eclectic gathering. Here is compiled a listing and discussion of some of the best known people who have played the part of Watson from the earliest days of silent film to the action heroes of the 21st century. All royalties from this book go towards the Undershaw Preservation Trust. Please visit facebook.com/saveundershaw and -like- to show your support. 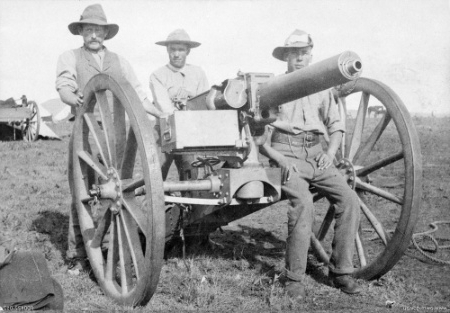 Many say that the Second Boer War was the first of the modern era. They will site the use of magazine rifles, the machine gun and trenches. Unfortunately that is not quite true. The Spanish American War of 1898 precedes the events of the Boer War by more than a year. Trench warfare in some form has been around since man started beating each other with stones. The machine gun can be debated as far back as the American Civil War depending on your definition. Dr. Gatling was making a machine to make war so terrible we would stop (like that’s going to work!). One turn of the crank handle would send multiple rounds downrange from a number of the Gatling Gun’s multiple barrels. One can say it was a machine gun. However, the common definition requires a single pull of the trigger to send multiple rounds down range from a single barrel. Both these weapons were used in the Span-Am War (Gatlings and Colt M1895 Machine Guns). Also seeing action were Mauser and Krag magazine rifles with high velocity, small caliber, smokeless cartridges. So the Second Boer War was the second war of the modern era. But in neither case did the generals learn enough to keep from making the horrendous blunders of the Great War where thousands of men were sent against entrenched machine guns across open fields. The arms carried by the Boers were somewhat varied. Their small arms were quite modern and it had a huge impact on the opening days of the war. Over the course of several years the tension between the independent Boer governments and the “outlanders” who immigrated to their lands kept growing. By the time of Jameson’s Raid (funded by Cecil Rhodes) there was little doubt that the Boers must be ready for a possible push by the British into the gold fields of the Transvaal. Therefore, the Boers started buying modern weapons. The British used a combination of small arms also but had the advantage of most rifles being in a single caliber, i.e., .303. This was true for both colonial troops as well as those coming from Great Britain. One finds the Empire forces using Martini-Henry rifles and carbines, Lee-Metford and Lee-Enfield carbines and rifles. The latter two being rifles with ten round magazines. The carbines generally had five or six round magazines depending on type. While the pistol situation was slightly better among the Empire forces there was also quite a variation. Webleys, Smiths, Colts and Mausers were all used to some extent. 1886 had seen the invention of smokeless powder by the French. It changed everything! Smokeless powder not only eliminated the clouds of white smoke produced by Black Powder, it increased muzzle velocities and made small caliber long range weapons possible. No longer would the soldier be limited to a close range battle where the smoke obscured his target and gave away his position. He could now engage the enemy at distances up to 800 or even 1000 yards. Carbines came in different variations of Martini-Henrys and Lee-Enfields. Carbines were issued to cavalry, lancers and in some cases to mounted rifles. Most mounted rifles, however, continued to carry their full size rifle. The advantage of the carbine was less weight and easier to use from a horse. The disadvantage was a decrease in muzzle velocity meaning less range and accuracy. Above is a Lee-Enfield carbine, note the smaller five round magazine compared to the ten round magazine of the rifles. Also the bolt handle knob is flattened and the upper hand guard is very thin wood which broke easily. The Model 95 Mauser was bought in large quantities by the governments of to Mexico, Chile, Uruguay, China, Persia, and the South African states of the Transvaal and the Orange Free Statee. 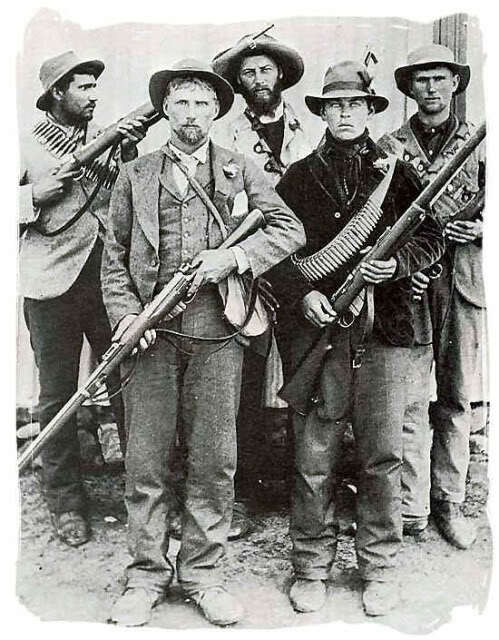 These rifles were given by the Boer governments to the Burghers in case they were needed to defend against natives or the British. A safety feature offered by the Model 1895 was a low shoulder at the rear of the receiver, just behind the base of the bolt handle, which would contain the bolt in the unlikely event that the front locking lugs sheared off due to excessive pressure. The Mauser was a magazine fed, bolt operated rifle that, like the Enfield, used striper clips to reload the magazine. South African Mausers were highly effective against the British at long ranges. Resupply of ammunition was to be the problem once the war started. Krag Rifle, note side loading gate. Also bought ahead of time and used by the Boers was the Krag-Jorgensen Rifle. This rifle was used by Norway, Sweden, Denmark and the United States. The unique feature of this rifle was, that where the bolt must remain open to reload a Mauser or an Enfield, the bolt could remain closed and ready to fire while reloading the Krag. The major disadvantage was that the rounds were loaded singly from the side instead of in one motion from the top. Several hundred of these weapons were bought by the Boers and ended up being used by foreign volunteers. Some actually turned up in 1916 in the Irish Rebellion. Among the latest instruments of war was the machinegun. 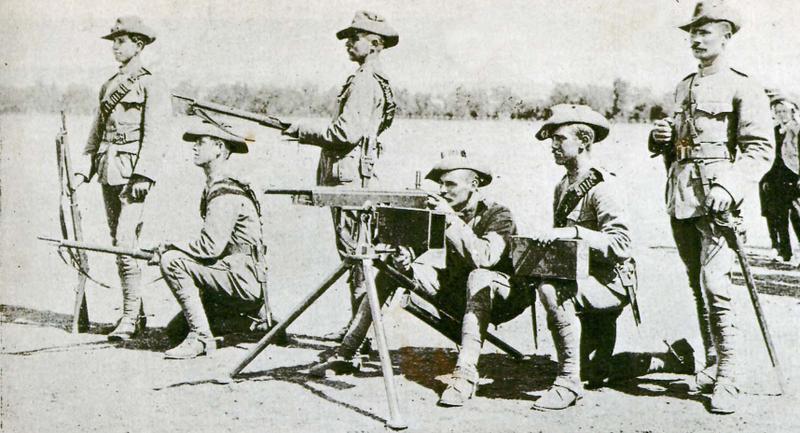 There were two major machine guns of the Second Boer War: the Maxim and the Colt M1895. The first was what is called a heavy machine gun, it fired the same caliber .303 ammunition as the rifles but the cartridge was loaded with a different powder which led to some operational problems until switched to the rifle cartridge. The Maxim could fire 600 rounds per minute from a 250 round belt and required a crew of four to keep firing, spotting targets and loading ammunition. The maxim was water cooled and could be broken down to be carried by pack animals or placed on a two wheeled carriage much like an artillery weapon. The Maxim weighed sixty pounds without any of the equipment but while it was difficult to move it had the sustained firepower of over 30 men. 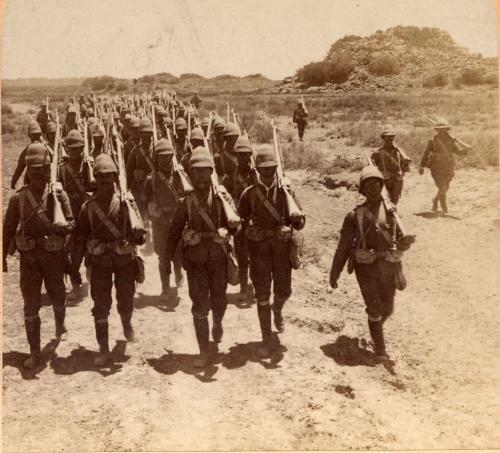 It was first used in combat in Egypt in 1886 and by the British in the First Matabele War in 1893. Another newcomer to combat (but already used by the US Army and the US Marines in the Span-Am War) was the Colt-Browning M1895. 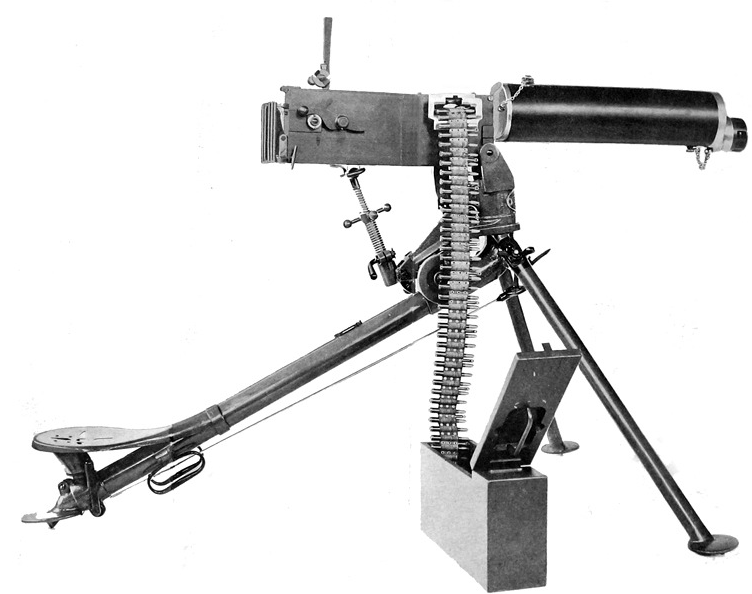 This weapon was nicknamed potato digger due to its unusual operating mechanism, is an air-cooled, belt-fed, gas-operated machine gun that fires from a closed bolt with a cyclic rate of 450 rounds per minute. The US Marines used the weapon in the Philippines in 6mm Lee-Navy caliber and the US Army in 7mm Mauser. Later the weapon would be produced in .303, .30-40 and .30-06. This machine gun was much lighter than the Maxim and, being air cooled, required no water to be hauled about with it. The Colt was also mounted either on a tripod or on a carriage and could easily be pulled by a single horse. Two men plus a driver could easily handle the weapon of 35 pounds. 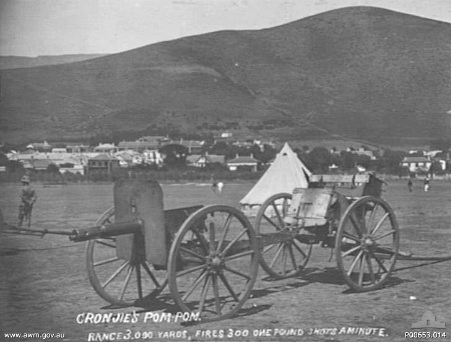 The first gun to be called a pom-pom was the 37 mm Nordenfelt-Maximm or “QF 1-pounder” introduced during the Second Boer Warr, the smallest artillery piece of that war. It fired a shell one pound in weight accurately over a distance of 3,000 yds. (2,700 m). The barrel was water-cooled, and the shells were belt-fed from a 25-round fabric belt. The Boers used them against the British to great effect so the British were wise enough to get their own. The Pom-Pom had more of a devastating effect on morale than accounting for actual casualties. It was an incredible year, the start of a new century. Queen Victoria was still on the throne, the Paris Exposition was the talk of Europe and Count Zeppelin was conquering the air. The Tsar had completed the Trans-Siberian Railway, the Boxer Rebellion surged through China, in South Africa the Boers of the Transvaal and the Orange Free State defied the British Empire, and at home Sherlock Holmes was at the peak of his powers. It was not a case of when the great detective’s powers were needed but where. Mycroft sends for both his brother Sherlock and Dr Watson to help solve the mystery of lost secret plans and of missing gold in the fight that will become the Second Boer War. Watson accompanies his friend Dr Arthur Conan Doyle and Langman’s Hospital to the battlefields of the Boer Republics as Holmes tries to stop the leak of information and recover a king’s ransom. The biggest question is who to trust in a land ravaged by war and with countless conflicting loyalties. Will Holmes and Watson stop the leak before Lord Roberts tries to take Pretoria? One of the interesting things about film and Sherlock Holmes is how quickly the Great Detective came to the screen. 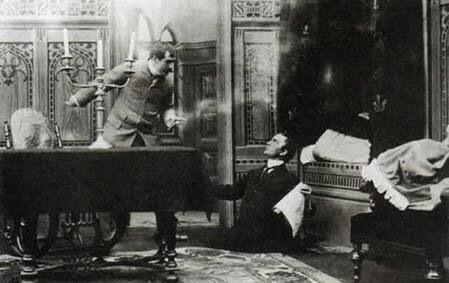 Holmes was born of pen in the very earliest days of attempts to bring the moving picture to audiences. Holmes is introduced to the world in Beeton’s Christmas Annual of 1887. In 1888 Thomas Edison met with Eadweard Muybridge, at Muybridge’s request. Muybridge asked Edison to combine the Zoopraxiscope (invented by Muybridge in 1879) which used a series of cameras to make “moving pictures” with Edison’s phonograph. Muybridge already saw the need for sound with his moving pictures. Edison turned down the venture but decided to develop a system that would take multiple pictures from one camera. By 1892 Edison’s Kinetoscope (from the Greek, meaning “to watch movement”) was in production. By 1905 Holmes was on the screen and by 1908 the Danish film company Nordisk was producing a series of Sherlock Holmes films. Nordisk was founded in 1906 by Ole Olsen and is still in business today. At first the Sherlock Holmes series of films would be one reelers running about 11 to 14 minutes. And one of the earliest actors to play Holmes on the screen was Viggo Larsen. Larsen was born in 1880 in Copenhagen and would die there in 1957. His movie career included 87 films and he directed 60. He was active in the movie industry from 1906 until 1942. During that time he played Sherlock Holmes in a number of movies, including “The Gray Lady” (Den Graa Dame). The Grey lady was the sixth in the Nordisk Sherlock Holmes series and was directed by Larsen as well as being it’s star. Our man Watson was played by Forest Holger-Madsen. Forest Holger-Madsenhad previously appeared in two earlier Sherlock Holmes movies by Nordisk but each time he appeared as the villain: A.J. Raffles. The story line of the movie short “The Gray Lady” is that there is a ghostly “gray lady” who appears shortly before each victim’s death. Sherlock Holmes arrives on the scene and finds the very mortal culprit. Forest Holger-Madsen was born in Copenhagen on 11 April 1878 and died on 30 November 1943. 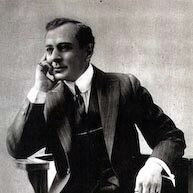 Holger-Madsen started his acting career in 1896 on the stage. The stage was always special to him and he returned to it frequently. In 1908 he made his film debut and by 1912 was not only acting but directing for Nordisk. This was a time when Nordisk was turning out 190 films a year, granted they were mostly one reelers, but Nordisk would be the company that some say invented the feature length film. Forest Holger-Madsen’s main achievement was not his acting but his directing. He was known for his use of camera angle, the close up shot and lighting effects. 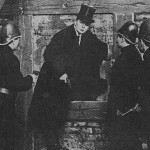 The Adventures of Sherlock Holmes; or, Held for Ransom of 1905 is considered to be the first “serious” attempt at bringing Holmes to the big screen. 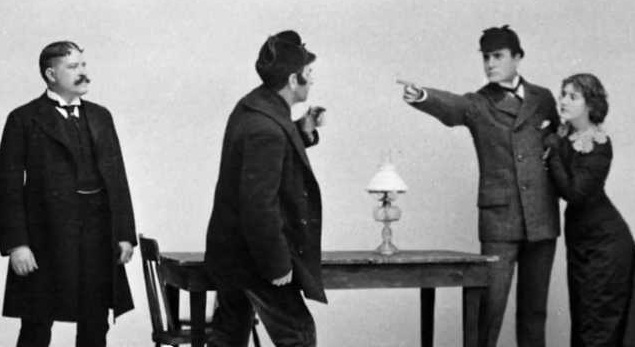 In 1900 had been the short “Sherlock Holmes Baffled”, which is one of those early shorts that just don’t seem to make much sense. Sherlock Holmes; or, Held for Ransom was an adaptation of Doyle’s “The Sign of Four” by Theodore Liebler. It was also a one reel short. One Reelers, in the silent era ran between 11 and 14 minutes. Now how you can possibly complete The Sign of Four in 11 to 14 minutes is something I would love to see. Unfortunately, the movie is considered lost as no known print exists. There is, however, 14 feet of paper print in the Library of Congress and if I can ever get up that way it is one of my missions to find it. 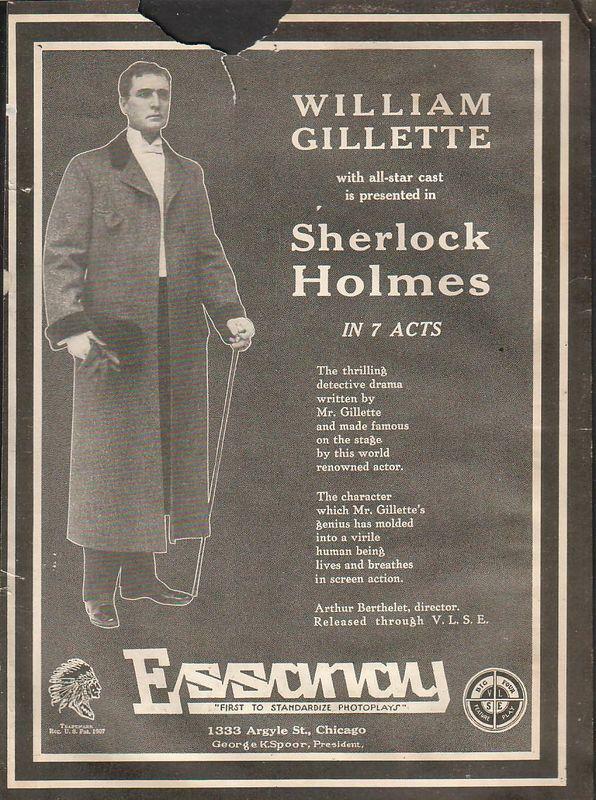 There are only three known credits for the film: Maurice Costello as Sherlock Holmes, H. Kyrle Bellew as Watson, and J. Barney Sherry in an unnamed part. There is some dispute as to whether or not Costello really played the part of Holmes. In those days “credits” were not usually given and Costello never mentioned playing the part nor included it in his biography. In spite of this the conventional wisdom is that this was Costello’s first film outing. 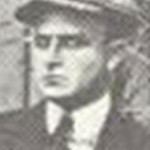 Costello would have an incredible 278 other film credits as well as 79 directorial outings in a lifetime that spanned from his birth in Pittsburgh in 1877 to his death in Hollywood in 1950. He was the first “superstar” of film. He made his stage depute as an “Irish” comic in vaudeville in 1894 and was the father of Dolores and Helene Costello and great-grandfather of Drew Barrymore. But most importantly, to any guy, is the fact that Costello discovered Moe Howard and gave him his first break in 1909! 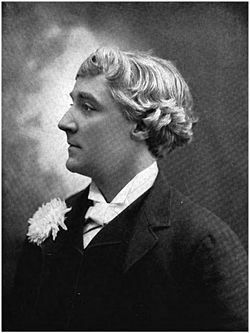 Our Watson, H. Kyrle Bellew was one of those adventure filled lives of the 19th century. There are conflicting claims of where and when he was born. Some sources say 1850, some 1853 or 1855 or 1857. There are also tales that he was born in England or born in India. What can be established is that he was christened in England in May of 1850. His father was an Anglican preacher and his parents had a very unhappy marriage. They did go to the India in the early 1850’s where his father sued for divorce in 1855 and returned to England with all four children. In 1866 Kyrle was sent to the training ship HMS Conway where he served for 2 years before shipping out for five more in the merchant marine. He eventually arrived in Australia where he worked as a laborer, gold miner, station hand and sign writer. Kyrle became a journalist and finally turned his hand to acting. 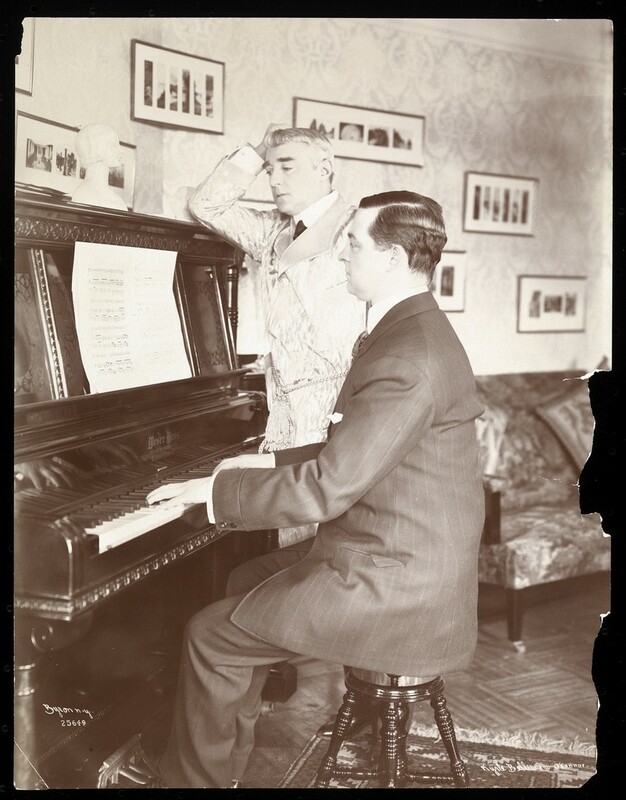 Kyrle Bellew was now constantly traveling a circuit of Australia, England and the US and was a kind of matinee idol. He married in 1873 to a French actress named Eugenie Le Grand but the marriage actually only lasted days with Le Grande returning to her former lover. In the 1880’s and 1890’s he was touring with American Actress Cora Brown-Potter. Besides being the first “legitimate” film Watson (Bellew was to have only three film credits before his death from Pneumonia in 1911), there is another, rather roundabout connection to Doyle in Bellew’s history. Bellew premiered the play “Raffles” to US audiences. A play based on the famous character developed by Doyle’s brother-in-law E.W. Hornung. One interesting event occurred on 27 December 1887. On that date a Miss Harriett Coffin tried, multiple times, to shoot Bellew at a theater in Boston where he was playing. Bellew evidently refused to return the woman’s affections which greatly upset her. She was eventually committed to an asylum. Here was another man like our Watson with the experience of “women on three continents”. Sherlock Holmes by Anton Productions is a low budget film that can be seen on You Tube at http://www.youtube.com/watch?v=0iad2dYsD7c&feature=related. Just because it is low budget does not mean it is not worth viewing. It is a remake of the Rathbone – Bruce film “The Woman in Green”. The time frame is updated to today. There are good moments in the film and there are a few added turns of a phrase that are worth hearing. The film is worth an hours watch on the computer. I admit I had a tough time getting through the first ten minutes. 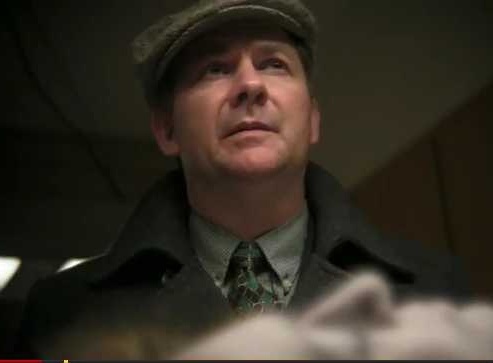 Inspector Gregson wearing his fedora backwards on the back of his head is really distracting as is Moriarty in a Zoot Suit (I think he’s trying to be the Godfather but I’m not sure.) The delivery of almost all the players is stilted. Kevin Glaser plays the part of Sherlock Holmes. Glaser almost never removes the pipe or takes off the newsboy hat and the delivery is flat. The movie is like watching a Single A ball team, all the bases are covered but the game just isn’t going well. I had the feeling that another weeks practice and the game would go great. There are two exceptions: Watson and Moriarty. 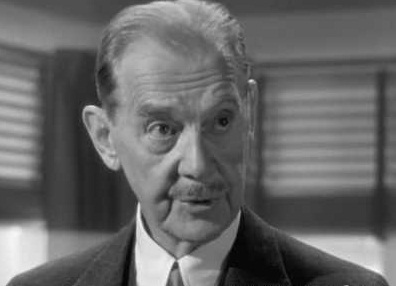 Watson was played by Charles Simon. According to the IMDB data base this is Simon’s only outing in the film industry. He, of all the actors, appeared the most relaxed and natural in front of the camera. Perhaps he has quite a bit of amateur theater work. I don’t know since there is almost no information available beyond his name. While he comes nowhere near the quality of men like Burke at least he plays the game fairly straight forward. 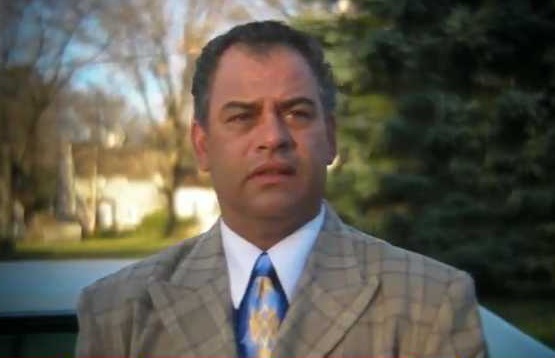 Daniel Rios plays Moriarty and also does a good job with the part. Sometimes it is hard to get the preconceived notions out of ones head as to what all the characters should look like or how they should act or react and allow for other interpretations. After watching this film I had to go pull out my copy of The Woman in Green and re-watch. This, of course, led to a 14 hour marathon of Rathbone films. Fortunately, my wife is a tolerant person. As a Watson fan I had to read a book with the fine title of “The Secret Journal of Dr. Watson”. Especially, when Watson and Holmes are to be involved in something as thrilling as the Russian Revolution. This is an adventure story more than a mystery, although it encompasses mystery as well. It is the latter part of the Great War. The Czar has abdicated, Kerensky has lost his position to Lenin and Russia has pulled out of the war. Russia’s action has released a hundred German Divisions to fight the Allies on the Western Front. The Romanovs are still alive and the English King wants his cousin the Czar and his family saved from the Bolsheviks. But how can this be done and by who? The British government cannot be seen as interfering in the internal politics of the new Russian state. The rescue must be done by forces that cannot be directly tied to Whitehall. Of course Holmes and Watson are the logical choices to make the attempt and who better to assist them than the famous (or infamous) Riley, Ace of Spies! The rescue attempt (I won’t say if is successful) is made in the backdrop of civil war: White Russians, Red Russians, German attacks and American and British soldiers and sailors invading Murmansk. Watson and Holmes must play their cards close to the vest. In this world of swirling spies and alliances and betrayals everyone is suspect and no one is to be trusted: not the military, surely none of the Russians (not even the local priest) and not even the English government. The book is well written and well researched. I found it especially engaging because of my interest in the particular time period of history. 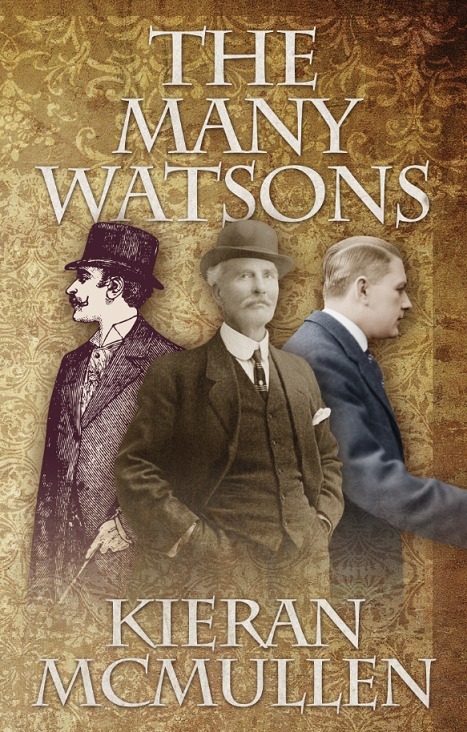 I highly recommend this book to Watson fans. It’s an appropriate sequel to His Last Bow. 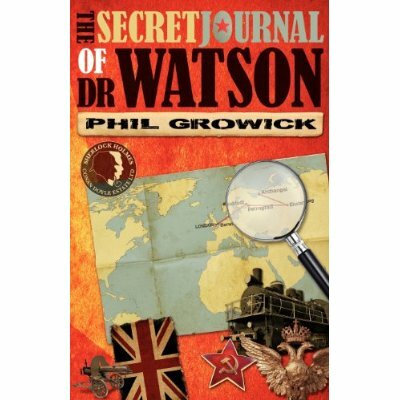 The Secret Journal of Dr Watson can be found at: http://www.sherlock-holmes.com/mx_book_page.html along with Sherlock Holmes and the Irish Rebels as well as Watson’s Afghan Adventure.